The largest country in Central America, Nicaragua is bordered by Costa Rica and Honduras. It is home to over 6 million people and is a country of great biodiversity, known to many as the “Land of Lakes and Volcanoes.” The people are almost entirely mestizo, a mix of Spanish and indigenous ethnicities, and speak Spanish as well as Amerindian dialects. 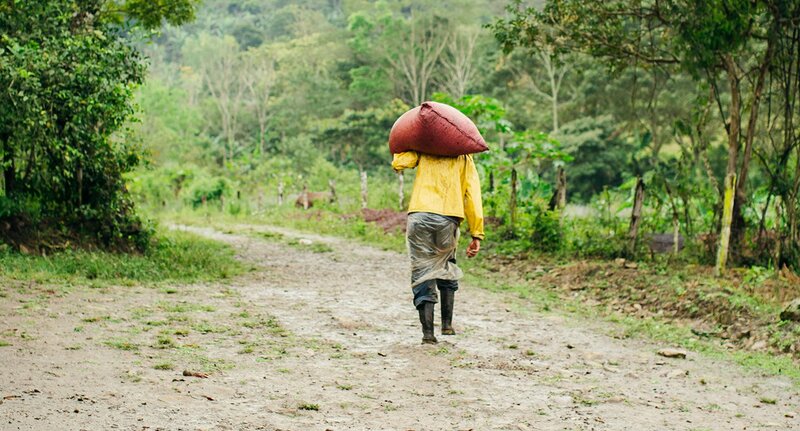 It is a primarily agrarian society where many people live off cash crops, such as coffee and tobacco, or subsistence farming. By many accounts Nicaragua is the poorest country in Central America. 30% of Nicaraguans live below the national poverty line. Despite many challenges that persist, Nicaragua has made significant progress on increasing access to drinking water coverage and met the Millennium Development Goal to reduce by half the proportion of people without access to improved drinking water by 2015. In line with the global trend, progress on sanitation lags behind progress on drinking water. There has been an overall increase in sanitation coverage since 2000, which was classified as “good progress,” but it is insufficient to meet the Millennium Development Goal for sanitation. Based on the disparities that exist between urban and rural water and sanitation services, Water For People–Nicaragua is focusing its efforts on rural and remote communities, schools, and health clinics. In 2008, Water For People’s Board of Directors voted to expand programming into Nicaragua. Building on successful programs in neighboring Honduras, Water For People initially worked in alliance with the nongovernment organization El Porvenir in the municipality of Wiwilí. In 2010, Water For People–Nicaragua obtained legal status as an NGO and in 2011 hired a Country Director and staff and opened an office in Jinotega. In 2011 and 2012, Water For People-Nicaragua continued to collaborate on projects with El Porvenir in Wiwilí while also initiating its first water and sanitation programming in the municipalities of San Rafael del Norte and La Concordia in the department of Jinotega. Starting in 2013 Water For People-Nicaragua has focused its efforts exclusively on reaching Everyone Forever in San Rafael del Norte and La Concordia. Everyone Forever is a unique programmatic effort to provide water and sanitation to Everyone in targeted districts and municipalities, Forever. It means these districts and communities never again need another international water agency to address their water challenges. And it provides a model for greater replication, leading to a push for national full water and sanitation coverage. Lasting water and sanitation solutions can only be achieved when local role-players—the private sector, civil society, and local government—are supported. In Nicaragua, as in many countries in Latin America, Water For People’s principal local partners are the municipal governments of the districts where we work. Water For People–Nicaragua is also building partnerships and alliances with the national Ministries of Health and Education and the Nicaraguan Company of Aqueducts and Sewers (ENACAL), as well as other NGOs operating within the country. Water For People–Nicaragua also participates in the Water and Sanitation Network of Nicaragua (RASNIC). San Rafael del Norte is in a municipality in the department of Jinotega, which is one of only four departments or regions in the country that was classified as having “severe” poverty by the national government. San Rafael del Norte covers 92 square miles, and approximately 23,036 people reside in its 46 small, rural communities and the town of the same name. The elevation of San Rafael del Norte is among the highest in the country. Most residents practice subsistence agriculture. Others produce coffee or raise animals for sale and consumption. La Concordia, also in the Department of Jinotega, covers 59 square miles. There are approximately 7,348 people who reside in its 33 small, rural communities and town of the same name. Most residents practice subsistence agriculture. Water For People-Nicaragua promotes scale and replication the Everyone Forever approach through participation in the national Water and Sanitation Network of Nicaragua (RASNIC) that is composed of water and sanitation organizations working in the sector. Water For People collaborates closely with the municipal governments of the districts where we work, and is also pursuing direct collaboration with Nuevo FISE, the national government entity responsible for the rural water and sanitation sector. Sustainable Sanitation programming has spread beyond San Rafael del Norte and La Concordia throughout northern Nicaragua through collaboration with local micro-finance partners Aldea Global and FUNDENUSE, whose offices are now offering loans in various departments of Jinotega (both organizations) as well as in other departments (FUNDENUSE). Water For People-Nicaragua has also signed an agreement with Habitat for Humanity in Nicaragua to incorporate loans for sanitation into their programming, and actively shares experiences with other organizations working in the sector including WaterAid and the Water and Sanitation Program of the World Bank. Education is a universal human right, and Water For People believes that providing adequate water and sanitation services in schools is fundamental to fulfilling that right. The majority of schools in Nicaragua do not have potable water or adequate toilet facilities, so many students drink contaminated water in schools or lack sufficient quantities of water for drinking. Handwashing before the school lunch and after using toilets, if there are any, cannot be practiced. Most schools do not meet the minimum government standards and lack child-friendly facilities. Lack of adequate facilities causes numerous health hazards among adolescent girls and women. The lost opportunity of providing adequate school water, sanitation, and hygiene conditions and training in schools affects entire communities over the long term. Building upon learning the very strong SWASH+ programs that Water For People has implemented in Honduras and Guatemala, Water For People–Nicaragua is implementing programming to improve school water, sanitation, and hygiene. Parent-teacher associations are trained to maintain the infrastructure, and teachers are trained to lead the hygiene education process. Due to trainings and promotion from Water For People-Nicaragua in collaboration with the Ministry of Education, most schools in San Rafael del Norte and La Concordia are now implementing Hygiene Corners. This tool, adapted from Water For People-Guatemala’s work, allows teachers to integrate hygiene-focused activities into daily lessons. Water For People-Nicaragua is a leader among Water For People’s programs on implementation of market-based sanitation programming. Families invest in their own household toilets, accessing credit where necessary, to ensure that sanitation facilities respond to the needs and preferences of each family. Water For People invests in strengthening the supply chain for sanitation products, supports local micro-finance organizations to offer credit for sanitation, and trains local masons and businesses on construction of a range of sanitation technologies to ensure that families have ongoing access to desirable sanitation products and services. A highlight of this work has been partnerships with two local micro-finance organizations, Aldea Global and FUNDENUSE. Prior to collaboration with Water For People-Nicaragua, both of these organizations offered loans to families for household improvement, agriculture, or to support creation of micro-enterprises. With the support of Water For People-Nicaragua, these organizations have added sanitation loans to their portfolios. This credit for sanitation is not just offered in San Rafael del Norte and La Concordia, but throughout areas of operation of both organizations throughout northern Nicaragua, thus scaling sustainable sanitation programming. Access to credit is a useful tool not only to expand sanitation coverage, but also for extending and improving water services. Through support from Water For People-Nicaragua, both Aldea Global and FUNDENUSE now offer loans not only to individual families who wish to construct or improve a household toilet, but also to communities who wish to extend or improve their drinking water system, and families who need a loan to pay a connection fee to a water system. An interesting aspect of this work is that several community water committees have now acquired loans to install household micro-meters on water systems. The installation of these meters has promoted water conservation and thus led to increases in levels of service, especially around continuity of service and making sure water reaches all homes in all parts of the community. When loans are repaid by families and communities, the funds are revolved to new communities and families to improve water and sanitation services. So with the same amount of capital, Water For People-Nicaragua and the Microfinance organizations are able to help more people than if these funds were simply used as donations. The elimination of the rural aqueducts department of the national water agency in 2007 left rural Nicaraguan communities practically without any support for management of their potable water systems. In rural areas of Nicaragua most water systems are managed by community water committees (CAPs). CAPs gained legal status in Nicaragua in 2010, which allowed them to begin to legally charge tariffs, be exempt from taxes, open bank accounts, contract services, and obtain land titles of water sources. Unfortunately, most systems today do not provide an adequate level of service or they do not connect all households. Strengthening CAPs is vital to improving the administration, operation, and maintenance of water systems in rural Nicaragua, so Water For People–Nicaragua, together with municipal government partners, dedicates significant time and resources to strengthening them. CAPs are trained on topics such as tariff calculation and collection, meter reading, administration, water quality and treatment, watershed protection, gender equity, and system operation, maintenance, and monitoring. Water For People–Nicaragua will continue to facilitate water, sanitation, and hygiene education programming to build toward full coverage in water and sanitation services in the municipalities of La Concordia and San Rafael del Norte. This will include collaborating with municipal governments and other local partners to construct and rehabilitate community water systems and to implement school water sanitation and hygiene programming. To promote sustainability of services, Water For People-Nicaragua staff, in collaboration with municipal government partners, will provide comprehensive training for community water and sanitation committees (CAPS) on topics such as administration, operation, and tariff collection. This will include promoting the use of micro-meters and tariffs based on consumption, as well as tariff levels sufficient to cover operation and maintenance costs of the system and a percentage of eventual major repair and replacement costs. Water For People-Nicaragua staff will also work with the municipal governments of San Rafael and La Concordia to promote hiring sufficient staff in municipal water and sanitation offices to be able to adequately support provision of water and sanitation services in each district. Specific focus will be placed on encouraging each municipal office to hire a professional to take on trainings and support for CAPS long term. Sustainable Sanitation programming will include finalizing and beginning to operationalize a new Sustainable Sanitation Strategy that will guide programming 2016-2018. A key component of this strategy is to continue to scale current market-based approaches, especially facilitation of credits for sanitation through local micro-finance partners and networks of financial organizations. Water For People-Nicaragua will analyze the possibility of starting work in a new district: Jinotega. Akvo FLOW mapping of the district to reveal current levels of water and sanitation services is expected to be completed in spring 2016, with a possible signing of an agreement with the municipal government and collaboration on construction of the first water system to follow.